Take out the fine china and polish the silverware. Only the best will do for this savory, broad-breasted bird! 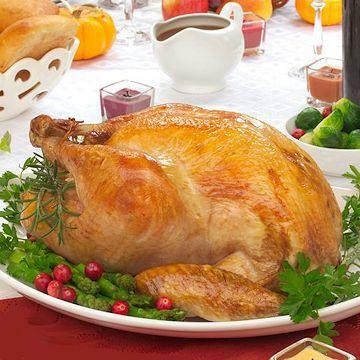 Each tender whole turkey is hand selected, fully cooked and smoked to the peak of hickory perfection. Simply order the size you need to satisfy a few friends or feed the entire family. Ready to carve, serve and enjoy! Cooking Instructions: Fully cooked - best served at room temperature. To serve warm, wrap in foil, heat in 325 degree oven for approximately 10 minutes per pound. Be careful not to overcook! Smoked poultry meat has a pink hue, which is a normal result of our curing process.